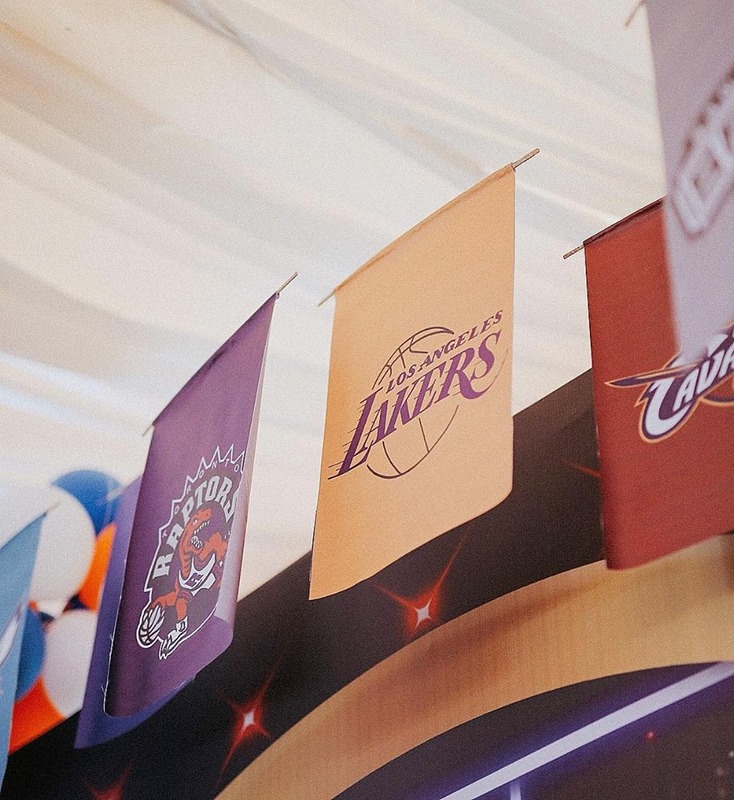 It seems like someone in the family is an NBA Fan or hoping the little celebrant will join the league one day. 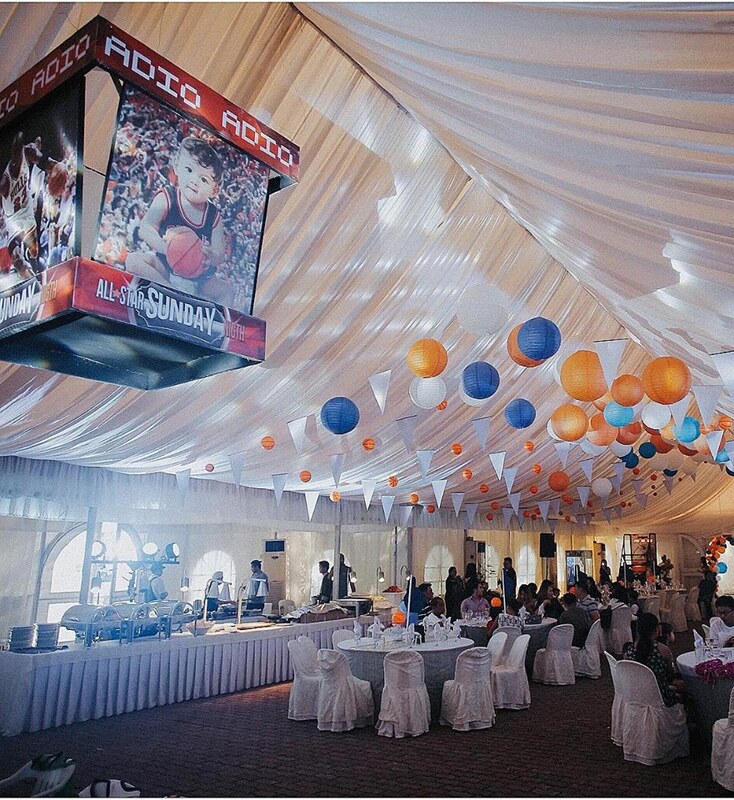 But actually, Daddy Aldrian is a basketball player and his loving wife, Mommy Shaine, arranged that his love for the game be tastefully translated into their son's first party theme! 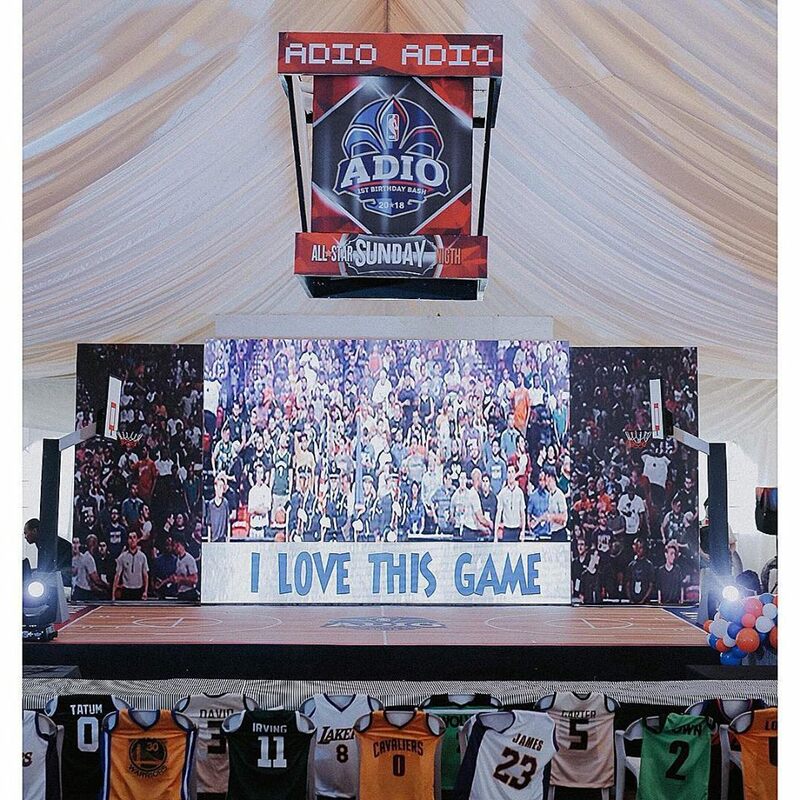 Check out how Jhei Capati Event Stylist transformed The Lakeshore Tent, a beatiful events place in Mexico, Pampanga into Baby Adio's unique home court! 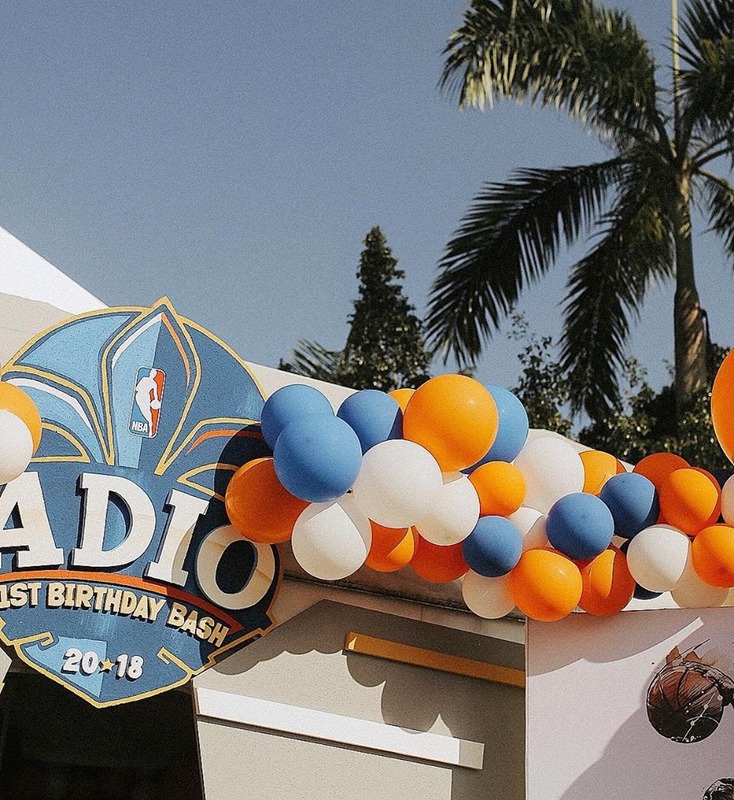 Welcome to Baby Adio's NBA All-Start Kiddie Party! 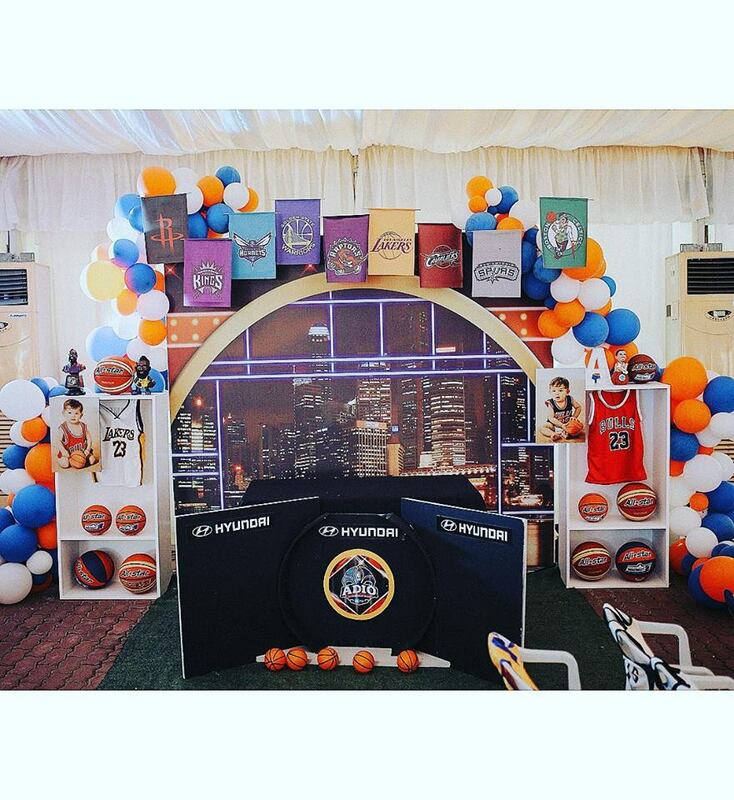 Check out his home court advantage! 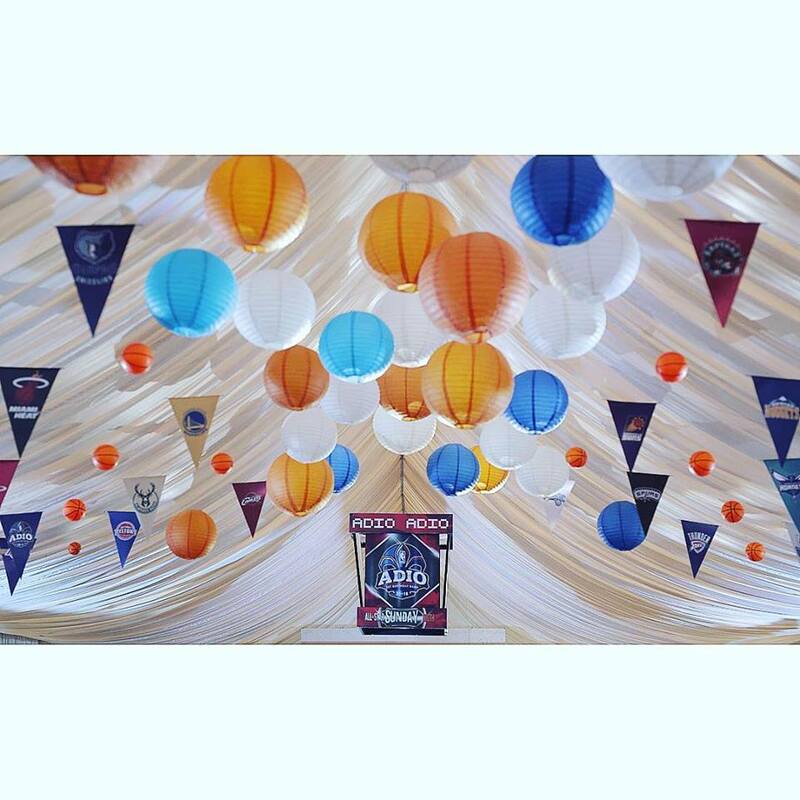 The combination of sporty buntings and colorful lanterns made this party ceiling pop! 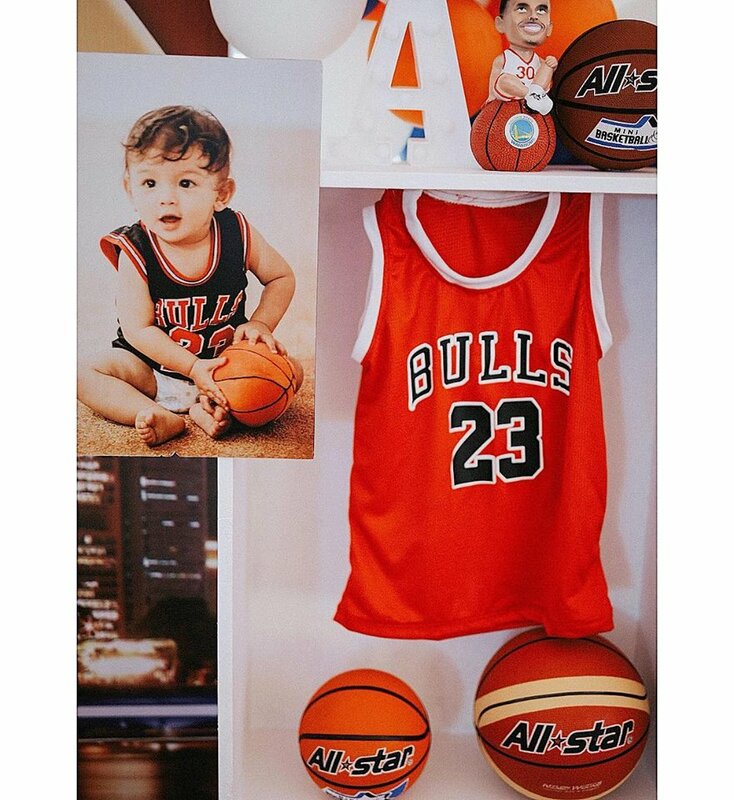 Which NBA team you think his mommy and daddy are rooting for? 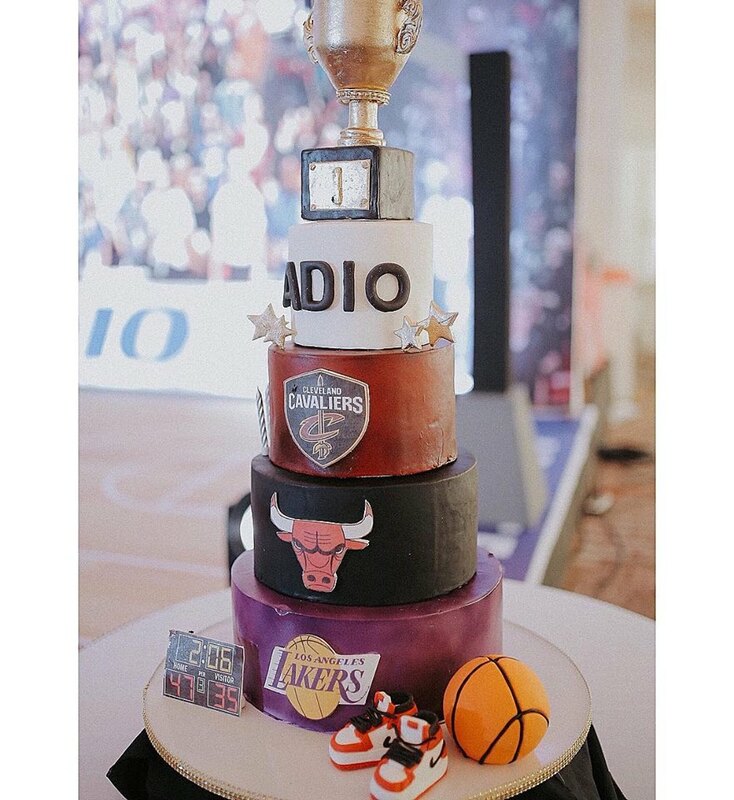 Look at the details of Baby Adio's winning cake. 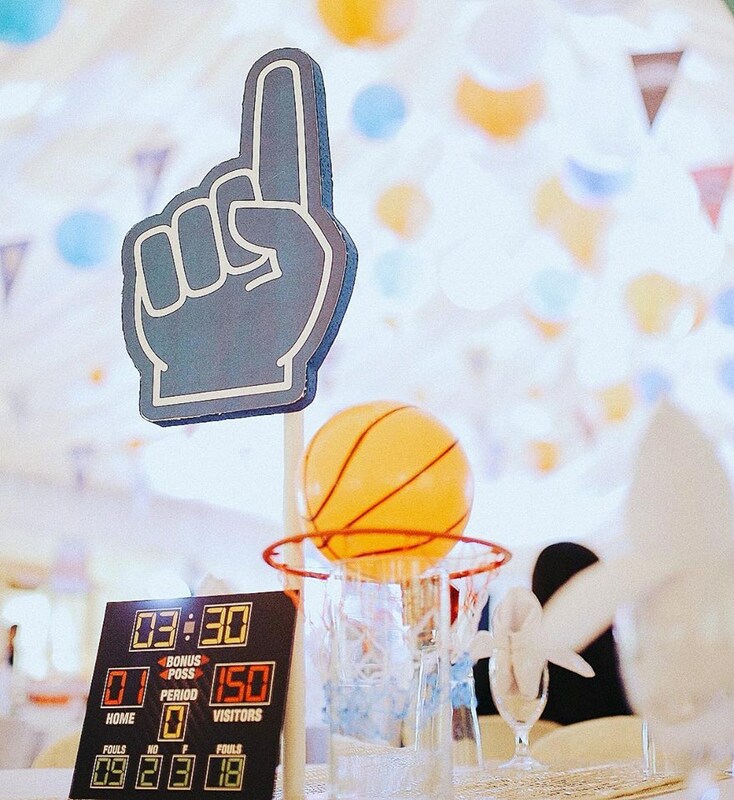 Lastly, we give our 3 points for this unique table kiddie party centerpiece!